Our expert’s guide to the best events and things to do during July in the Lake District. Discovering the wild and enchanting beauty of the Lake District is something that everyone should aim to do in their lifetime, and what better time to visit other than the (sometimes) wonderful British summer time. Unsurprisingly being named the most beautiful place in England, this northern gem has the perfect ingredients for the ultimate summer escape. The landscape is simply breathtaking. A series of striking mountain ridges frame a collection of blue lakes and shimmering green fields. And there’s nothing like a combination of fascinating heritage, award-winning restaurants, rare wildlife and top-class activities to create the ideal getaway many of us need. During the month of July, the mighty fells showcase their rugged beauty better than any other. Down on lower ground the contrast between the blue lakes and the green pastures is simply unparalleled. With an average temperature high of 19.9°C, you’ll be wondering why you ever went to the hassle of queuing at the airport, exchanging currency and paying sky high travel costs… There really is no better place in the UK to spend your summer. Over in the Western Lake District lies a patchwork of enchanting lakes, picturesque valleys, striking woodlands and interesting trails. 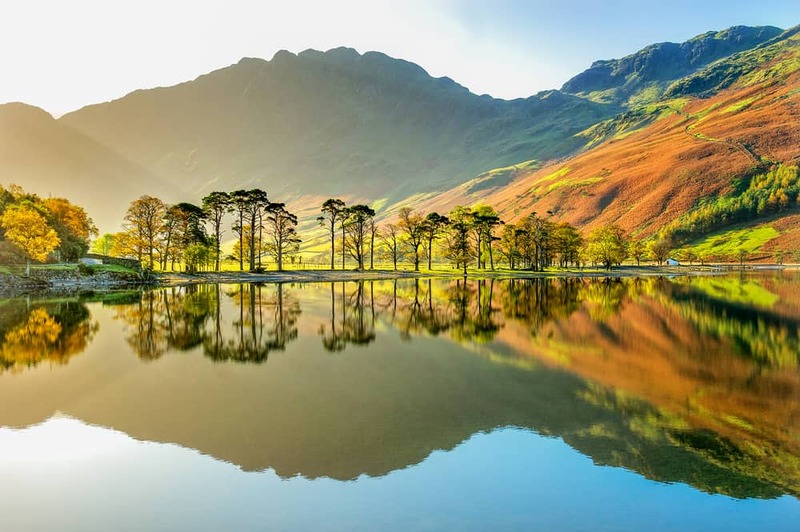 The ‘other side’ of the Lakes also boasts historic towns and a beautiful coastline – which come without the bustling crowds and irritating traffic delays that can often be seen during July in the central Lake District. So, immerse yourself in the wonders of the Western Lakes to experience one of the best staycations imaginable. With our Insider’s Guide to this stunning area, you’ll be introduced to new walks, attractions and a taste of Cumbrian Wrestling for good measure. Even regular visitors to the Lakes can discover new and exciting areas of the ‘hidden’ Lakes they have never previously explored. During July when the sun gloriously shines above the Lake District and warms the place up, the region is brought to life. The quaint little towns across the district become rife with events and activities for all ages to engage in. It’s the month when culture fills the air as many festivals and events take place and the choice of things to do is fantastically diverse. This year, July in the Lake District is like Christmas for music lovers with plenty of talent on offer throughout. We’ve put together a selection of some of the best local events you won’t want to miss out on during your summer getaway. Cockermouth LIVE returns for their 2018 celebration of the arts, showcasing the best local talent from a diverse array of performers during this unmissable 3 day event. Hailed as a classic Georgian town with plenty to explore, visitors flock to The Trout’s hometown of Cockermouth to immerse themselves in culture and all the different genres of music that flood the streets during this friendly neighborhood event. 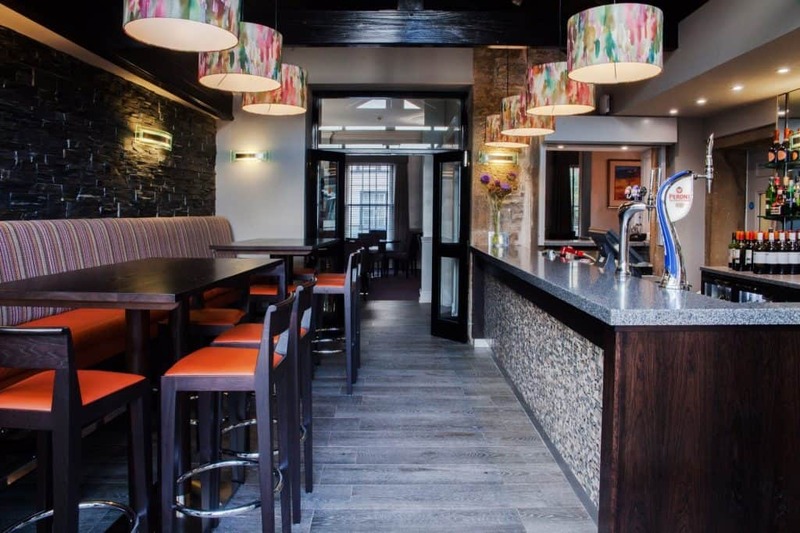 Let your musical side take over as you make your way to local pubs such as the Jennings Cooperage Bar or Fletcher Christian to rock out with native bands, or head on over to some of the market town’s more quirky venues such as the Coffee Kitchen or Seth’s for more intimate, acoustic gigs. A couple of Sunday’s artistic acts include The Papcastle Community Orchestra and the unmissable Soul Junction, who are sure to close the festival with a bang. Cockermouth LIVE not only boasts a wide selection of musical talent, but also celebrates other art forms such as dance, film and theatre as shows are scheduled in various locations across the town. Events such as tours of the Jennings Brewery and a Cockermouth Castle are also available and free of charge, but booking is highly recommended. Don’t miss the final day in July! 200 years ago, an eccentric landowner named Joseph Pocklington bought Derwent Water Island near Keswick and built a grand mansion on the land. He devised a series of madcap regatta activities on Derwent Water with a fair on Crow Park for spectators to watch teams of people rowing, sailing and swimming around the island. The festivities came to a high with a mock attack of the island, when Pocklington fired a cannon towards the local invaders. Today, local outdoor providers lead sessions with canoes, kayaks, stand-up paddle boards, sailing dinghies, bathtubs and a catamaran. Think you might enjoy it? Head down and take part in some of the taster sessions available! You can also fill your day up with free family activities if tiring the kids out is your plan. This event is ideal for both experienced water sport fans and beginners just starting out. A must for July in the Lake District. Aspatria Music Festival returns with a bang for their 5th annual year running and is ideally situated only a 15-20 minute drive away from The Trout Hotel for all pleasure-seekers out there. Held on the grounds of Aspatria RUFC at Bower Park, a visit to this up-and-coming, non-profit music festival is a no-brainer for music lovers young and old. The festival, originally a brainwave of local musician Damon McRea and friend Matthew Turnbull in his admirable effort to raise money for charity, is set in an ideal location with charming Cumbrian views and within walking distance to nearby local stores. Boasting unmissable headliners including the Hoosiers who rose to fame in 2007 with sing-along anthems from their debut album such as ‘Worried about Ray’ and ‘Goodbye Mr A’, and Platinum – a showstopping ABBA tribute band who are guaranteed to get you having the time of your life, there is something for all music enthusiasts at this local festival. Let us entertain you for the night and head down to our Terrace Bar & Bistro to enjoy the musical talents of our guest singer, the incredible Andy Whitaker. Andy is the lead singer and manager of the Carlisle band ‘Highly Strung’ who has an impressive repertoire of instrumental capabilities and musical inspirations. Covering much-loved songs from many of our favourite artists during his acoustic gigs, his setlists are a treat for the ears and we’re sure this will be a night not to be missed. Choose your poison from our exhaustive list of alcoholic beverages the bar has to offer, including a selection of fine wines, refreshing beers and tasty cocktails that will definitely aid in making the night even more enjoyable. Of course a selection of soft and hot drinks are available too, so there’s something to quench everyone’s thirst. The performance will run from 7pm – 9pm so make sure to get down early to grab yourself a seat and a drink. 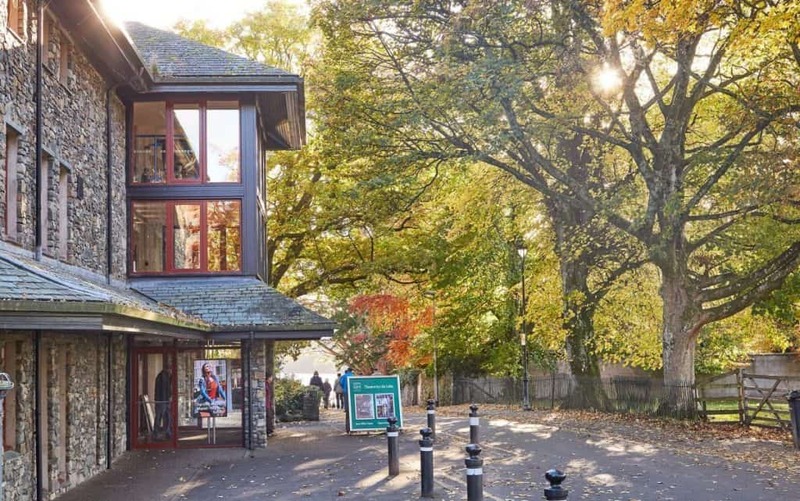 The Theatre by the Lake in Keswick that sits merely a stone’s throw away from Derwentwater is perfectly situated amidst the picturesque glory of the fells. The renowned theatre is a true staple of the Western Lake District and a must-visit during your July stay. Recently attracting famous visitors such as Sir Ian McKellen with its compelling productions, it’s no surprise that the theatre is as popular as ever. Make sure to plan a theatre visit for your July in the Lake District. The summer season at the theatre is now well-underway with more than enough captivating theatrical productions to sink our teeth into. Notable productions running throughout July include: ‘Jeeves & Wooster’, ‘Rails’, ‘Single Spies’ and many more. However the theatre not only offers a packed calendar of theatrical productions, but during July in the Lake District you can catch many other one-off events you’ll not want to miss. One of these upcoming events includes an exclusive screening of the film ‘Making Noise Quietly’. The film was adapted from the award-winning play of the same name, which is comprised of 3 mini stories depicting the more ambiguous, distressing effects of war. An emotional rollercoaster from start to finish, the film explores the debilitating effects war has on mental health. Not only do visitors get an exclusive screening of the film, but there is also a post-show discussion with the film’s director Dominic Dromgoole. The name will likely ring a bell to avid theatre fans out there, as Dromgoole was the former artistic director of Shakespeare’s Globe and is also the creative talent behind the current direction of the Oscar Wilde season in London’s West End. Another one-off event held at the theatre during July is an Urban Folk Quartet gig. This is definitely one for the folk fans out there, as the musical group have been engaging their audiences since 2009. The fiddle-led folk band are known for their unique and unmissable sound, drawing inspiration from a diverse array of genres across the world, but most specifically Celtic dance music. This night will be a certified fun fest for all. Other notable one-night-only events include: Breabach; a Scottish folk band, an inspirational hiking talk from Wainwright Prize-winner Hugh Thompson entitled ‘One Man and his Mule’ and an epic performance from the London Swing Orchestra exploring the musical talent of Swing legends including Glenn Miller, Louis Armstrong and swing king himself, Frank Sinatra. “A panorama of crowded detail, all of it of great beauty: indeed this scene is one of the gems of the district…The far horizon is a jumbled upheaval of peaks, with many dear old friends standing up proudly.” – Alfred Wainwright. Considered one of the Lake District’s “miniature” fells, Latrigg is wonderfully located on the edge of the popular tourist town of Keswick and is the perfect fell to climb whether you’re new to fell-walking, or a certified Wainwright pro. With being one of the smaller northern fells, Latrigg makes for a perfect walk if you don’t have much time on your hands but still want to experience the picturesque views of the Lakes. Following a pleasant wander to the top you will uncover panoramic views of Borrowdale valley beautifully merging into visions of Bassenthwaite Lake and the surrounding area, each strikingly divided by the charming town of Keswick which is a beauty in its own right. The view also rewards you with uninterrupted visibility of the surrounding fells in all their grandeur, including Catbells, Skiddaw and Blencathra. 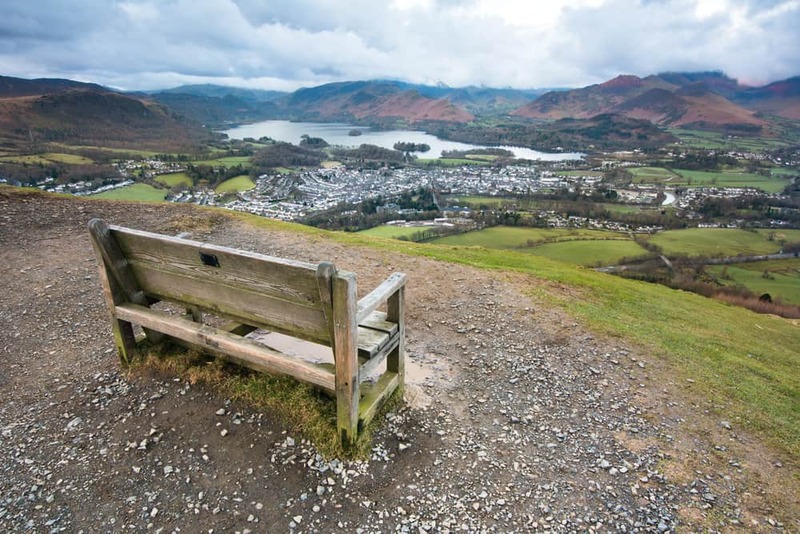 A single, wooden bench residing close to the fell’s summit is perfectly placed for walkers to appreciate the land in all its natural glory and also makes for the perfect picture, especially during July in the Lake District. You may also run into some of Cumbria’s native dwellers at the top, being greeted by signature Herdwick sheep as the summit is camouflaged in sheep pasture. You can start your mini adventure in a couple of places. You have the choice of a stroll up ‘Spooney Green’ lane past the quaint cottage of the same name, which then takes you on a trail past the outskirts of Brundholme woods. Following a brief climb past the rich woodland you arrive on a zig-zag path directing you up the eastern side of the fell to its summit. This is the quickest route to the top of the fell and also the steepest. Alternatively, you can opt for a gradually ascending journey up Brundholme Road, past the Calvert Trust riding school and through a more dense woodland area, eventually leading you to the most western side of the fell to start your uphill scramble. The woodland area is populated with deer and other wildlife creatures, making this a nice route for nature lovers. The great thing about Latrigg, with it being a smaller fell, is that there is actually a car park situated close to the top. This means that anyone visiting the Lakes who came for the views and the atmosphere, not the strenuous exercise, can actually cheat their way into a picture-perfect memory without the hard work… but what’s the fun in that! If you’re going to be attempting to conquer the fells on a sunny day in July, be sure to carry enough water and high energy snacks (especially if you tackle the larger fells). The summit can be reached in walking boots or sturdy trainers as many Lake District paths are very well trodden. A detailed OS map and a compass would be useful, if you know how to use them. If you choose to venture out on a sunny day be sure to bring plenty of sunscreen despite the potentially deceiving temperatures! It is often windy while you ascend the fells, especially near the top, which can disguise the warmer climate and you may not realise the sun damage you could be getting! Top up regularly if you’re flashing the flesh. There are no rail links directly to Cockermouth. Our advice would be to travel with car if possible but there are plenty of buses if you don’t drive or haven’t got a car with you. Even more buses run during July in the Lake District, making getting around incredibly accessible. It’s around a 15-minute drive to Keswick and the heart of the national park; 40 minutes to Carlisle and 45 minutes to Penrith and the M6. Cockermouth is a town that offers almost everything a visitor might want. 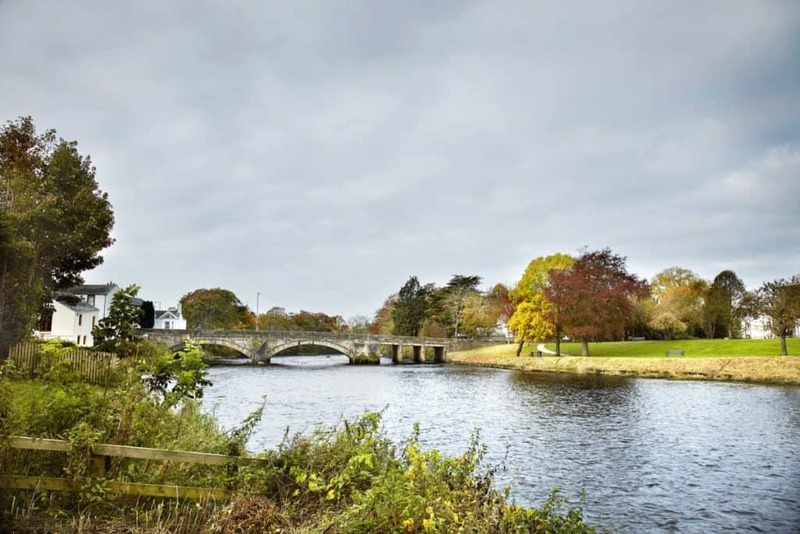 Officially classified as one of England’s ‘Gem Towns’, it has a charming nature but does not suffer from the overcrowding that is seen in other Lakeland towns. After you have explored the plentiful offerings of The Western Lakes a warm, relaxing atmosphere will be awaiting you back at The Trout Hotel.